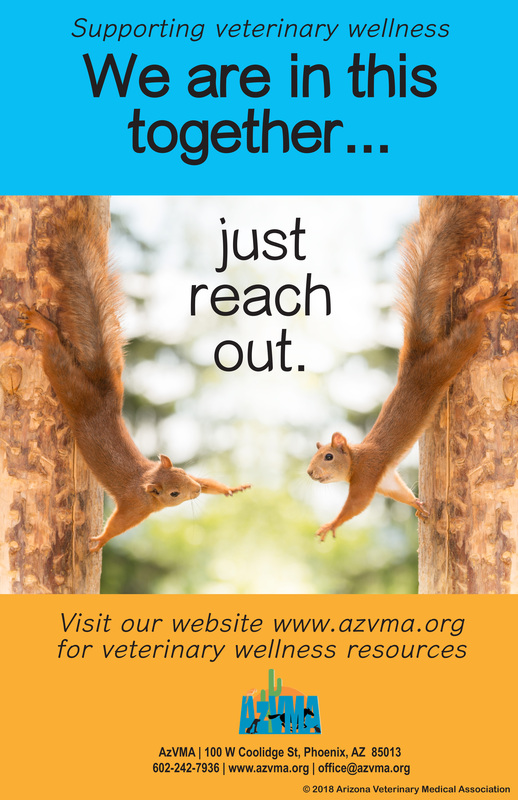 AzVMA believes that self-care is the prescription for a healthy mind and body. While individuals may sometimes think that they are the only ones who experience negative emotions from factors that are many times out of their control, it is important to know that almost everyone is impacted by these challenges at one time or another. More importantly, it is essential to know that they can be overcome. It is no secret that practice teams come under tremendous pressure to provide excellence in client service and medical care. Burnout, stress, compassion fatigue, finances, euthanasia, unrealistic demands, unintended mistakes and difficult clients all contribute to a toxic mix of emotions that can lead to tragic outcomes. 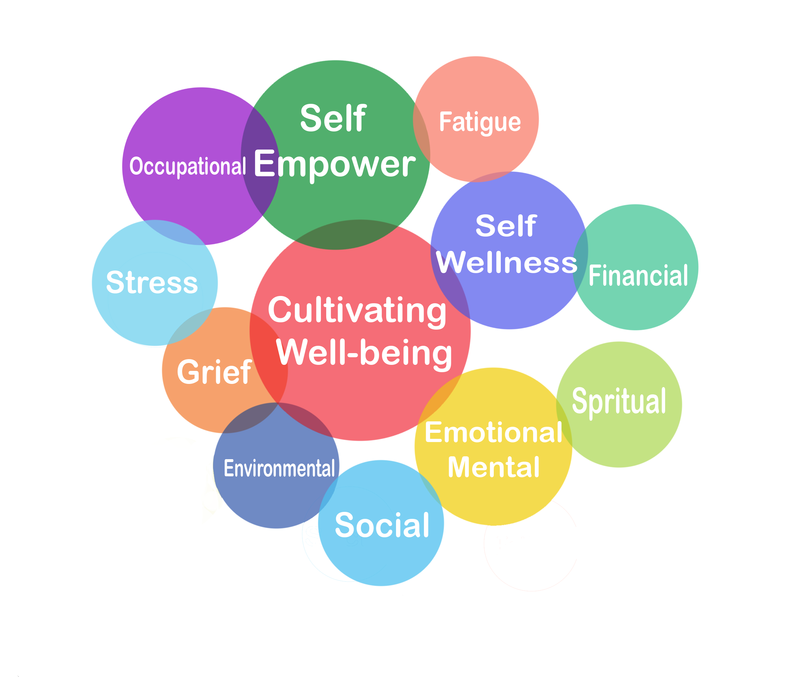 AzVMA has compiled website resources to help you build your wellness toolkit in an effort to provide you with a pathway to nurture your well-being: special wellness education programs, positive messaging, wellness & self-care routines, articles & blogs, and website resources. 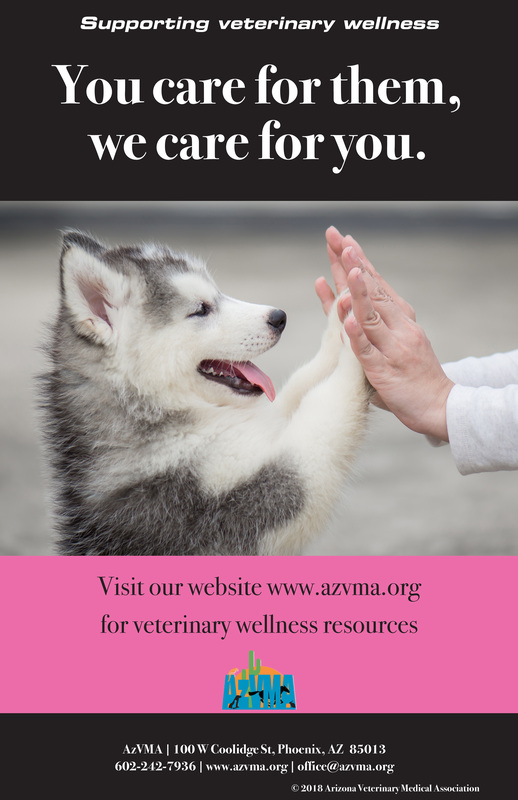 The Arizona Veterinary Medical Association has declared the month of January as “Veterinary Wellness Month” in Arizona. The declaration is being made to call attention to the importance of physical and mental health in our veterinary community and to highlight the support services available to navigate the personal and professional challenges faced by veterinarians and staff in contemporary practice. The month will be celebrated with special wellness programs, positive messaging calendar, tips for meeting individual challenges, new partnerships, and resources at your fingertips. 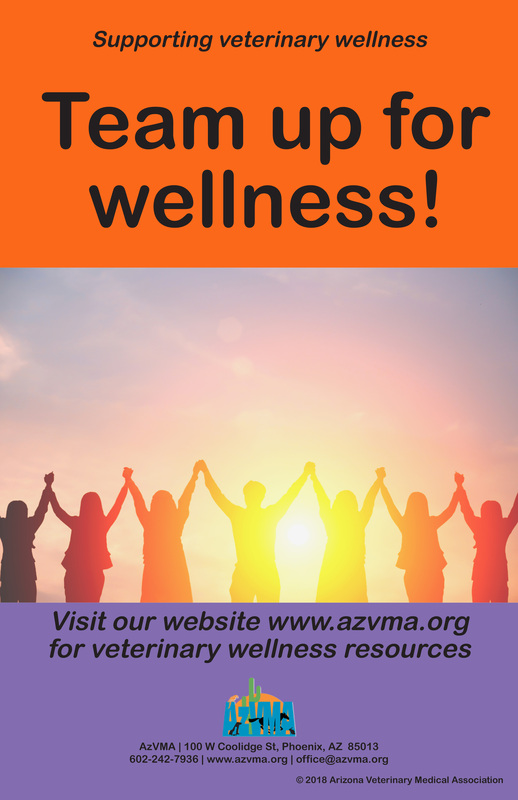 AzVMA has developed a series of four wellness posters to support the establishment of a culture that promotes team and individual wellness in veterinary practices. The four glossy color 11" x 17" posters are available as a set free of charge at AzVMA events, or at the AzVMA office. 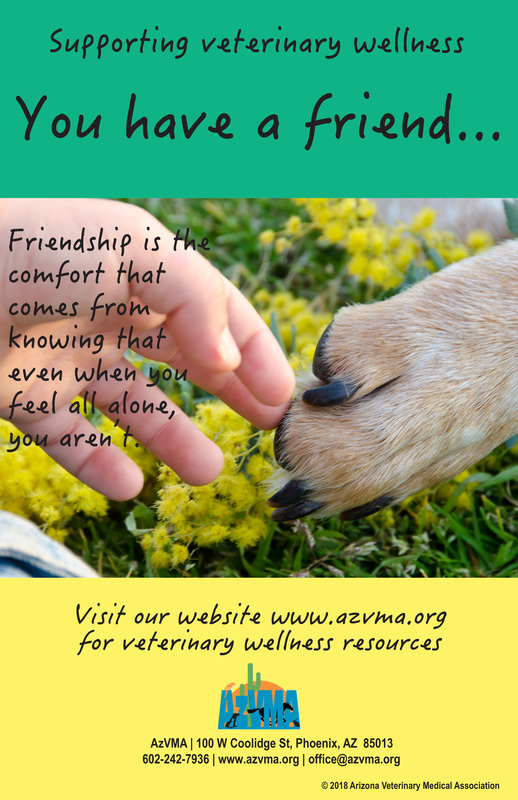 They can also be requested by mail for $5.50 to cover the cost of postage and handling by clicking here: AzVMA Wellness Poster Set Ordering Form. Start your day in a positive way! *Please note that the assessments are not diagnostic tests, and therefore no official diagnosis can be determined based on the results. DVM360: Are you aware of your level of self-care? American Institute of Stress: What is compassion fatigue? DVM360: Burnout, compassion fatigue, depression—what’s the difference? Veterinary Team Brief: Are you at risk for compassion fatigue? DVM360: Should I pay off debt or invest? Veterinary Practice News: Who in Your Practice Has Experience Compassion Fatigue, Burnout or Depression? Veterinary Practice News: Is Your Office Culture Negatively Affecting Your Well-Being? Veterinary Team Brief: Compassion Fatigue: What’s the Impact on Your Team? Stress Management by Jennifer Butler, M.Ed. For medical, police and fire emergency situations always call 9-1-1.